According to a report from IDC, by 2019, companies will spend approximately £1.2 trillion on Digital Transformation. However, one of the major factors that makes it difficult for companies to change is the fear that digital transformation will burn up valuable time and money. This factor can prevent businesses from committing to the process. 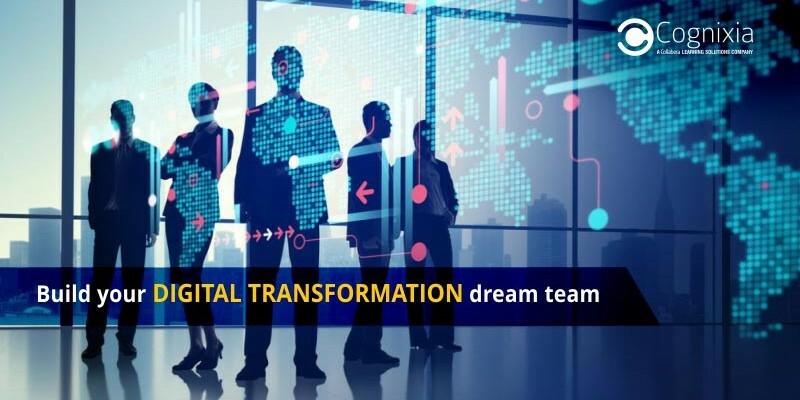 Interestingly, it doesn’t have to be a costly exercise – organizations can set up teams to accelerate digital transformation without making significant investments in resources. The positive influence emerging technologies have on your teams to drive business goals is indisputable. Forbes recently reported that companies like IBM, Microsoft, Google, Facebook, Cisco, Tesla, and many more have allocated huge amounts of their budgets to technology innovation and implementation, with great success. Beyond effectively generating and nurturing leads and driving revenue, emerging technology capabilities can significantly improve the overall effectiveness of your company. According to a research article by IRG, “78 percent of UK companies have stated that a skills shortage in digital expertise is one of their main barriers to progress”. The benefits of implementing emerging technologies are tangible. Because of this, the demand for skilled professionals continues to climb sharply, to the extent that recruitment in digital technologies will outperform all other areas by 2020. This surge in requirement is presenting notable challenges for organizations of all sizes. The importance of knowledge on emerging technologies is widely recognized, but there is a serious deficit of skilled professionals who can adopt the tools and techniques needed to effectively drive business success. The competition to recruit and retain these skilled professionals is fierce and can include remuneration packages that some organizations, such as start-ups, may not be able to afford. Regardless of your budget or available resources, you can enjoy digital success within your organization. Building an effective team of any size is achievable; all you need to do is identify the key characters that will compose your dream digital technologies line-up based on your overall business goals, and cultivate their capabilities with essential skills training. Identify your objectives from the outset: This will provide you with a benchmark against which you can measure your performance and ultimately refine your strategy. Identify the technologies that will benefit your business: Focus on a few technologies in alignment with your objectives so your team can streamline their efforts, concentrate their efforts, and maximize their effectiveness. Nurture your team’s skills: You will require different skills, based on your objectives and the nature of your organization. Whatever your areas of focus are, make sure you underpin your employees’ natural talents with globally recognized training. Digital technology is a constantly evolving industry; in order to stay ahead, it’s essential to keep developing your employees’ skills and enhancing knowledge. The key is to implement a strategic and sustainable education plan. By investing in training your workforce, tailored to your team’s specific needs and interests, you can significantly enhance effectiveness of your business. With our portfolio of customized courses, Cognixia can help your team to achieve those business goals and boost their capabilities. For more information on how Cognixia can help you, email us at join@cognixia.com.